Michael Thielscher is a Professor at The University of New South Wales. 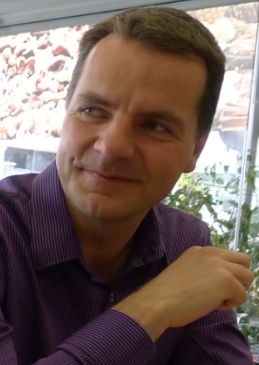 Michael received his postgraduate diploma and his Ph.D., both with distinction, as well as his Higher Doctorate (Habilitation) in Computer Science from Darmstadt University. He then joined Dresden University, where he was an associate professor before he moved to his present position. His Habilitation thesis was honoured with the Award for Research Excellence by the alumni of Darmstadt University in 1998, and in 2009 he won a Future Fellowship Award from the Australian Research Council. Michael has been Program Co-Chair for AI'12, KI'14, KR'18, and he will be General Chair for KR'20. 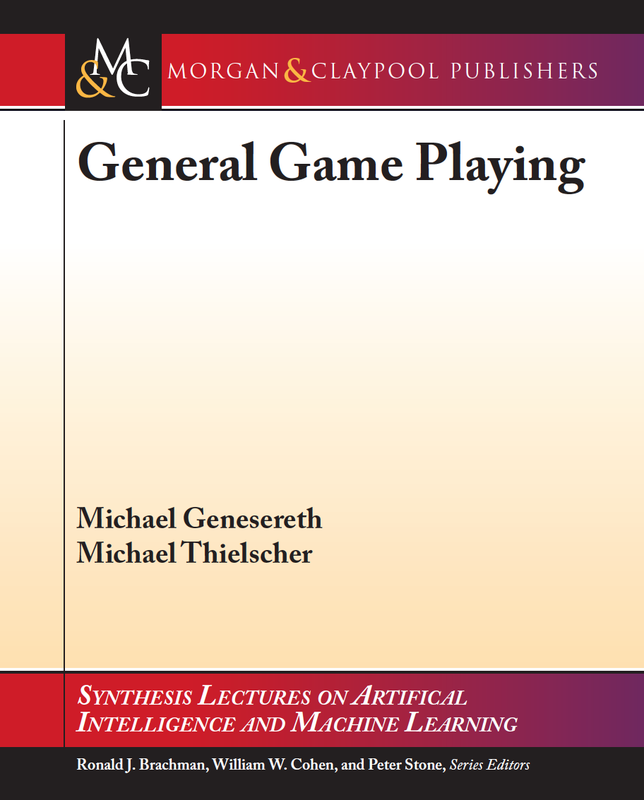 Michael's current research is mainly in Knowledge Representation, Cognitive Agents and Robots, General Game Playing, and Artificial General Intelligence. He is author of over 175 refereed papers and five books, and he has co-authored the award-winning system FLUXPLAYER, which in 2006 was crowned the World Champion at the AAAI General Game Playing Competition. Michael was an invited speaker at the AAAI-10 conference. The slides for his talk on systems with general intelligence can be found here, and a video recording can be watched here. A general problem-solving system can understand descriptions of new problems and solve them without human intervention. An example are general game players, which can play previously unknown games given nothing but their rules. General Problem Solving has been identified as a Grand Challenge of Artificial Intelligence, drawing from a variety of sub-disciplines, including Knowledge Representation, Automated Reasoning, Search, and Learning. The Project aims to explore the emergence of artistic innovations in the commemoration of war through the use of a database narrative. It expects to reformulate commemoration as a dynamic dialogue between visitors and memorial archives. To do so it will experimentally apply an aesthetic framework that transforms the display of the Australian War Memorial’s Afghanistan collection through platforms that meet the challenge of reflecting on contemporary conflict where documentation is being replaced by interaction. Anticipated is a demonstration of how users can explore collection data assisted by an interactive archive, with benefits that impact the meaning of memorial processes. General game-playing programs learn to play new computer games just from the rules. This project aims to take this a step further and develop fundamental strategic reasoning techniques for general game-playing robots. These will enable robots to understand descriptions of new games played in real environments, to gain knowledge of rules through demonstration, and to learn to play these games effectively without further human intervention. To this end, based on our previous work on general game-playing programs (UNSW) and cognitive robotics and planning (Freiburg) we will jointly develop and analyse a mathematical framework for general game-playing robots, implement an automated reasoning system for this framework, and incorporate this into UNSW's fully autonomous, stationary Baxter robot. Robotic systems are becoming increasingly more sophisticated and prevalent. Developing complex and maintainable robot programs to control these systems remains a significant challenge particularly given the diversity of robot platforms and application areas. This project builds on advances in problem solving and programming paradigms in Artificial Intelligence, applying them to learning sophisticated robot programs. These techniques provide for elaboration tolerance, knowledge/program maintenance and optimisation of performance. This project will develop techniques for building sophisticated declarative robot programs. It will achieve this by learning procedural robot programs and turning them into maintainable declarative robot programs. This project investigates how the interactions between human participants and digital characters produce an entirely new type of space, an intra-space, actively created through inter-action, dynamically changed through the process of interaction. By integrating these systems the project pioneers the experimental representation of contemporary architectural space. Retrospect is a multi-platform project presented on ABC Online, ABC Television and ABC Radio during 2015 and as an interactive installation in the AVIE3 visualisation platform at Melbourne Museum in 2016. The project interactively explores the relationship between the experiences of Afghanistan veterans and their families. It involves collaboration between a group of veterans and families, researchers at UNSW, the ABC and Department of Veterans’ Affairs, with additional support by the Australia Council for the Arts and Museum Victoria. Using an artificially intelligent database of documentary material created in the field and assembled from ABC news archives, the project provides an innovative way of exploring war memories. Retrospect’s database can evolve, updated by new memories and experiences from other veterans and families. A universal game-player is a computer system that you can tell the rules of any new game and that then all by itself learns to play that game. Building such systems has recently been established as a Grand Challenge for research in Artificial Intelligence. The aim of this project is to develop a universal game-playing system that can learn to play arbitrary games including those with random moves and where players have imperfect information, which is usually the case in real-world games. This will significantly advance the knowledge of this discipline, which today is limited to deterministic games with complete information. This will result in innovative methods and technologies for building universal game-playing systems. Robot technologies have developed dramatically, particularly with the reduction in size and cost of computer components and the increase in sophistication of sensors and actuators. Robot software, or more accurately, robot middleware has also increased in sophistication with projects like the Robot Operating System (ROS) now being adopted by the majority of research groups worldwide. However, the desire to limit power usage means that processing capabilities and storage capacity remain bounded. The advent of cloud computing provides a means for addressing these limitations. This project develops techniques for representing and reasoning about robot abilities so that data and algorithms can be stored in the cloud and utilised as required. A mathematical framework for the automation of rational behavior, decision making, and planning developed at UNSW. A methodology and tool for declarative programming (Reactive Answer Set Programming) developed at Potsdam University. Electronic trading systems rely on multilateral, multi-issue negotiation models. The existing systems, underpinned by classical game theory, are mostly single-issue, numerically based. Qualitative judgements and logical reasoning are missing. In this project, we remedy these glaring deficiencies by providing a theory of bargaining with unified tools of qualitative and quantitative analysis, and use it to enhance the power and intelligibility of current systems. An extended Game Description Language, a mediation-based negotiation system and an e-trading system for testing bargaining strategies will be implemented. As a bonus, a novel branch of bargaining theory to complement traditional game-theoretic bargaining will emerge. FLUX is a high-level programming system for cognitive agents of all kinds, including intelligent agents, autonomous robots, and general game players. FLUX is an implementation of the Fluent Calculus, a versatile action theory deriving from the Situation Calculus.